Available through Julien Hug of Exotiq Property Seminyak, Desa Saya offers luxury one bedroom pool villas for sale in Bali. Available through Julien Hug of Exotiq Property Seminyak, Desa Saya offers luxury one bedroom pool villas for sale. Bali's Desa Saya Eco Luxury Resort and Spa have launched the next phase of their resort after the soft opening of Private Luxury Pool Villa with 2 bedrooms and the Joglo Villas nine months ago. WILLIAMS MEDIA spoke to Nicole Wöhrmann, owner of Desa Saya Eco Luxury Resort who said, "Our goal when we first started was to stand out from the crowd. We wanted to create a peaceful oasis here on the untouched North coast of Bali." "All villas in Desa Saya are decorated with an individual touch of luxury, using custom-made furnishings and natural materials," she said. "Everything has been designed, planned and constructed exclusively, keeping in mind the need to provide a luxurious yet simple, modern yet authentic experience for our guests." 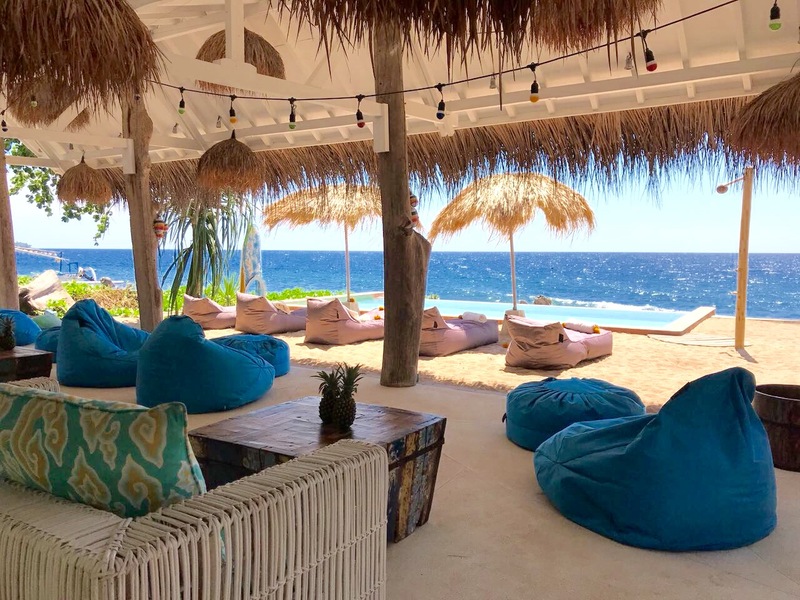 An expanding enterprise, Wöhrmann says, "We have recently opened our new beach club, Pantai Saya, which is located on one of the most gorgeous hidden beach locations on the island. A pathway through a coconut grove leads you directly from the resort down to the beach, where you are met with breathtaking panoramic views. This one-of-a-kind beach club on Bali's north coastline is excellent for beach lovers to get lost in paradise, chill and recharge," she said. Dominique Gallmann of Exotiq Property Seminyak confirmed to WILLIAMS MEDIA, "The recently opened beach club is simply terrific and will be a huge success in my view because there is nothing that compares in this part of Bali." The next phase of the project will be the extension of the Luxury Pool Villas option in our resort, Wöhrmann explains, "We are now selling three off-the-plan Luxury Pool Villas with one bedroom." "This exclusive villa type will be perfect for couples or honeymoon guests as it offers privacy and luxury with the convenience of a private swimming pool, sunbathing area and a private tropical garden," she said, "and construction will begin after villas have been purchased." "These off-the-plan units will be sold for USD $145,000 - USD $155,000 and will offer buyers the choice of freehold or perpetual leasehold," Wöhrmann said. "At this point, we have currently sold and operate three Private Luxury Pool Villa with two bedrooms units at a price of USD $165,000 each," she added. Located in Tejakula, Gallmann believes "Desa Saya is by far the most luxurious and the cosiest hotel on the beach along northeast Bali's coastline." "Desa Saya has realised that North Bali holds the key to the future of tourism in Bali and has much more to offer its residents than dolphin watching and stunning waterfalls," he said. "I have never seen a hotel built with so much love for detail and care." Visit Desa Saya at Exotiq Property here. To arrange a private inspection or to enquire about Desa Saya, phone or email Julien Hug of Exotiq Property via the contact details listed below.